"I've been using since April 2013: my skin started clearing from the first day and is now so beautiful"
"When I put it on my face, it's like my whole body becomes electrically charged. Love it!" Jojoba oil is almost identical to your skin's natural oils, so it is easy to absorb and doesn't clog pores. When combined with ozone it is an oxygen-rich moisturizing cream you can use to enhance the appearance, suppleness and beauty of your skin. Protect your skin with Jojoba oil. Perfect for clearing up blemish prone skin. Jojoba Oil has a high content of beneficial minerals and Vitamin E containing different varieties of tocopherols which make up Vitamin E and many other natural minerals. Vitamin E is well known for promoting healthy and clear skin. Jojoba oil is an antioxidant and protects you from the damaging effects of free radicals. Most bacteria including Staphylococcus aureus and the fungus Candida albicans cannot reproduce and die when they come into contact with jojoba oil. In fact, it is so antibacterial that it can be used as a fungicide to control mildew. Why do we give PurO3 our highest rating? 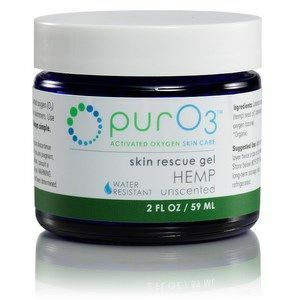 PurO3 uses a revolutionary ozone technology called microfluidic platform technology fed with an ultra pure oxygen source. This method is the pure form of ozone produced without any heat. 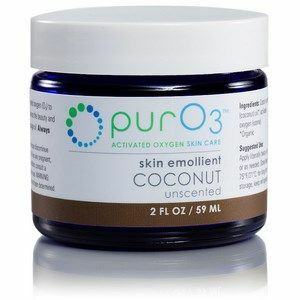 Seacoast Vitamins believes PurO3 has the highest quality ozonated oil products on the market today! Jojoba Seed Oil(simmondsia chinensis), Activated Oxygen (ozone). *Organic. This is more than just a great natural oil, this is a precion ozonated oil that goes through a complex manufacturing process, using all organic ingredients. This is not a jojoba essential oil product that will burn and irritate your skin when applied directly. It is infused and formulated to match the complex makeup of your delicate skin, and is one of only a small number of products we even recommend for your face. We know you are going to love it like I do! And it's also backed by Seacoast's unconditional 60 day money back guarantee. I recommend it to my friends with young children, and buy it for my grandmother who has very sensitive skin from years of taking blood thinners. It is the perfect, safe product that I trust and it feels so great when you put it on. A special thank you to Seacoast for keeping the supplies fresh and using quality refrigerated storage facilities and shipping to protect the contents of this precious bottle! Apply a thin layer twice a day or as needed. Store below 80°F/26°C; for long-term storage, keep refrigerated. For skin use only; if irritation occurs discontinue use. Avoid contact with eyes. If you are pregnant, nursing or have a medical condition, consult a health care professional before use. I have suffered with eczema for many years. I have used many other products with not much satisfaction. I started using this product 2 months ago and I have had the bests results. My skin is no longer inflamed and itchy. It used to bother me so much that I often had trouble sleeping at night. So glad I found this product through seacoast vitamins. Question: I have very bad acne, will this help? 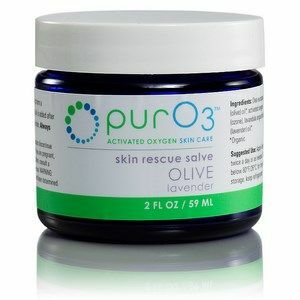 A: PurO3 Ozonated Jojoba oil has many dermatological benefits. Due to it's anti-inflammatory effect Jojoba is used to treat skin infections, acne, eczema and even helps with aging skin. In 2012, a study conducted by The European Society for Natural Medicine found that Jojoba had very positive anti-acne effects. Jojoba clay masks were applied to participants 2-3 times per week. After 6 weeks there was a 54% reduction in total skin lesions. Pur03 infuses jojoba oil with activated oxygen to form an oxygen rich skin cream containing natural fungicidal and anti-bacterial properties. Jojoba is almost identical to your skins natural oils so will not clog pores. Seacoast gives PurO3 a **** star rating for the finest ozonated oils on the market today.